Classics0105 is a business dealing with used household and commercial furniture and appliances. The company buys, sells, and trades a wide range of items, from chairs, tables, office desks, TV, rice cooker, and even toys. You’d also find many other kinds of bulky items in their store, e.g. 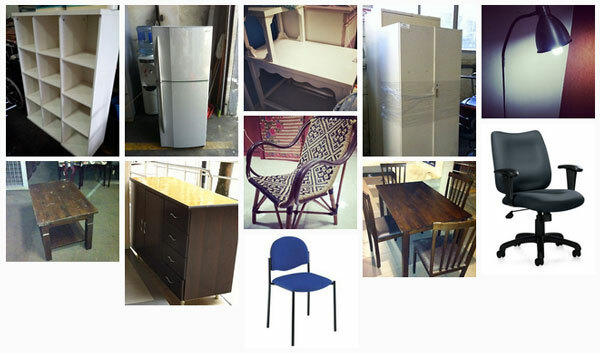 office cabinet, mattresses, refrigerators, etc . The following are just some of the items they’ve handled before. The business is run by Paulyn and Joseph, and the pair believe in recycling what people throw away, and converting or restoring them back into a usable state, so that people who are looking for affordable means of furnishing their homes, or getting appliances for their households, are able to do so. Some of their items are also delivered to buyers overseas. If you have unwanted used furniture or other items that you’d like to get rid of, you could consider selling your items to Classic0105. The company sounds sincere in their efforts to salvage ‘junk’, and leverage on recycling for social good. For organisations and companies which are relocating or downsizing, Classics0105 also provides transportation and collection of your trashed items. According to the company, a portion of the items they buy will be delivered to buyers overseas. Classics0105′s warehouse is located in the west of Singapore, they’re opened every weekday, from 10am to 6pm. Walk-ins are welcomed. The address of their business is 6D Mandai Estate #03-13, M-Space, Singapore 729938. View more pre-owned furniture stores.